Made of high quality, long staple cotton yarn for enhanced absorbency and purity. These latex - free gauze swabs are made of high quality, long staple cotton yarn for enhanced absorbency and purity. 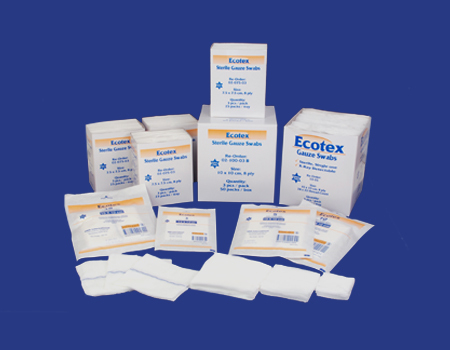 Ideal for use in many applications such as wound cleaning, prepping, scrubbing, packing and dressing. Evenly distribute liquid throughout swabs. Folded edges reduced threads and lint. Multiple uses for a variety of needs.